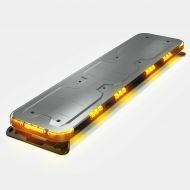 Our full size light bars are offered from 36 to 88 inches. If we do not have the size listed to meet your needs please contact us! We take pride in providing quality lights for emergency vehicles, construction vehicles, tow trucks and more! With 16 to 48 flash patterns, the Fusion 49'' Light Bar is the most advanced light bar in emergency vehicle lights. The Fusion emergency light bar can be roof mounted on vehicles such as Sedans and SUV's. 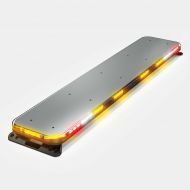 This is our largest full size light bar we stock!! ****This product, along with all our products contain 3 Watt diodes (not 1 watt diodes)!! The 47" is the beginning of our full size light bars that use straps to mount to vehicles. ****This product, along with all our products contain 3 Watt diodes (not 1 watt diodes)! !